Find out how our customers use Jetti to help increase their sales and grow their retail businesses. 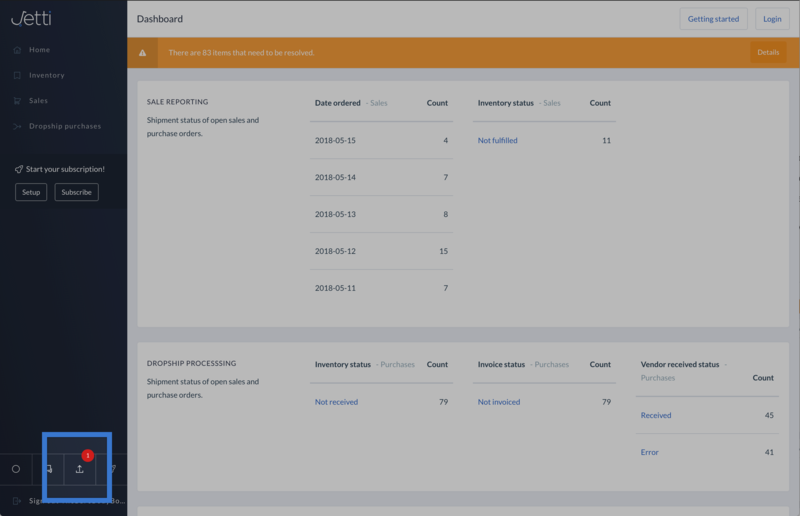 We have begun the rollout of a navigation in the dashboard. The key change is that we've dropped the Dropship purchases section. Instead, dropship purchases will appear under the sales link. The link to dropship providers will be accessible from the contacts menu. If you have any feedback on the menu or need any help with the changes, please get in touch. Notifications getting lost in email? 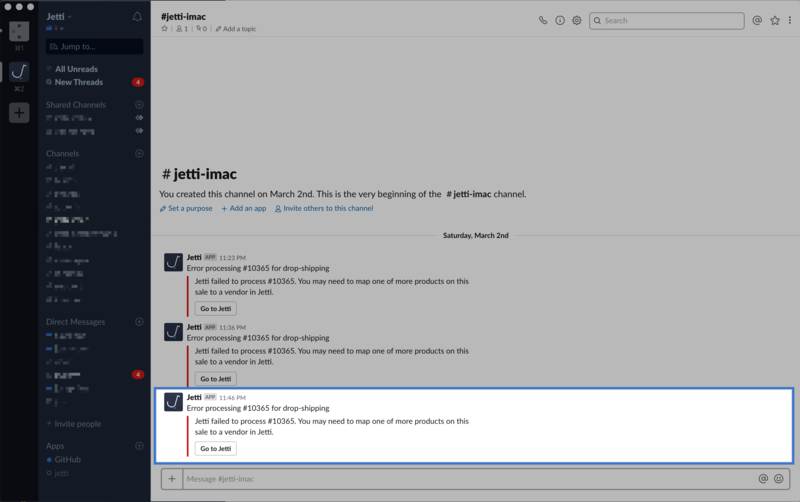 With our Slack integrations, your team can stay on top of important notifications and interact with our Jetti Slack bot to automate your workflows. You can now use custom fonts to better brand your packing slips and invoices. Just head over to Setup > Packing slip to customize yours today! Select from over a dozen fonts. Or, speak to support to request adding any font from the Google Fonts collection. In addition to paying vendor's by Stripe, you can now use our TransferWise integration to send vendors domestic and international payments. You can enable the new integration in the setup area. 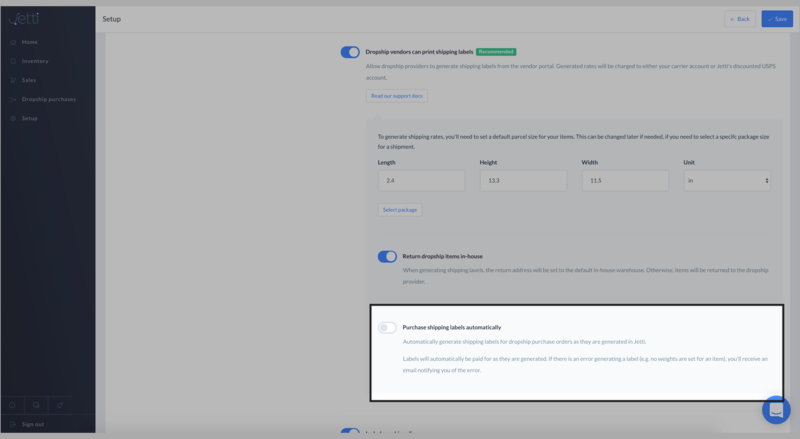 We've now introduced the ability to edit the shipment weight and dimensions when generating rates within the dropship portal or retailer dashboard for each shipment. This provides a quick, convenient way to override the default weights and package sizes. We are rolling out a new feature to track the changes made on your account. On the dashboard in Jetti, you'll now see a list of recent changes made by staff members and vendors. For example, you can see when a vendor updates the cost price of their item. Or, when a team members prints and ships a label for an order. The retention period will differ depending on your Jetti plan and we will be expanding the changes we log over the coming releases. For now, it tracks changes made to your variants and orders. When dropshipping an item, sometimes things may go wrong and Jetti may not be able to send the item to the vendor. For example, you may have sold an item not yet assigned to a vendor. Or, you may not have completed the setup process, such as entering an email address or entering the API details for the vendor. You can now see a single list of all the errors within Jetti, together with the steps you need to take to resolve the issue. When printing shipping labels within Jetti, you can now see all of the available rates to selected from. Previously, Jetti would only show the cheapest rate which best matched the customer's selection at checkout. This is turned off within the dropship portal, but can be turned on in the setup area. When setting up Jetti, it's useful to assign data in bulk to your variants, such as the weight, vendor SKU or cost price. This data can then help automate the generation of shipping labels or dropship invoices. However, if you have thousands of products, it can be difficult to find out which products are missing the data. On the inventory list, we have now added these additional filters. You can then use in combination with the CSV export to batch update those items with the missing data. For example, filter those items without a cost price, export to CSV then reimport the updated CSV file with the cost prices added. If your order has already generated any dropship purchase orders, an order cancellation will be created for each one and the vendor will be notified by email. We've added a new card view for items in your variants list and inventory feeds, which you can toggle in the top of the screen. 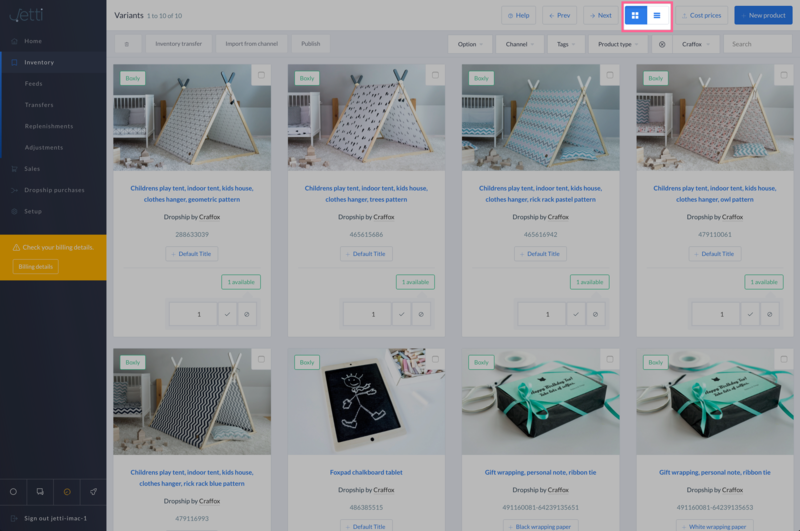 This can be useful when browsing for inspiring vendor products to publish or when you want to view larger images of the items in your store. Enjoy! These imports / exports happen are processed in the background. 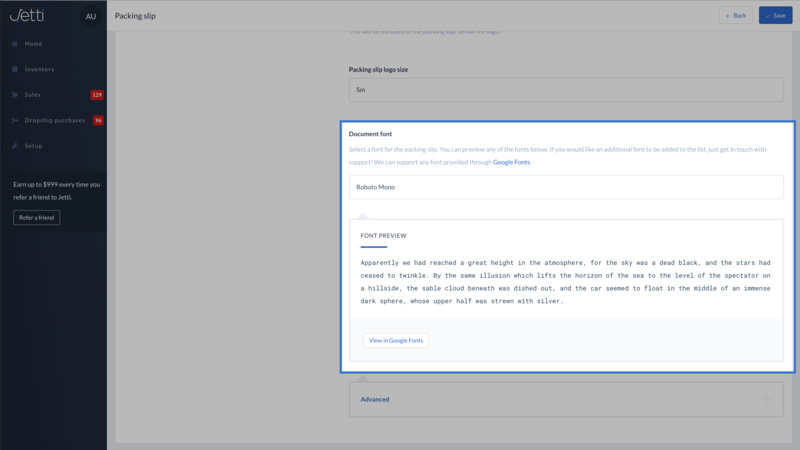 As well as getting an email notification, you'll now see a progress indicator while the feed is imported and an alert when the feed import is complete. 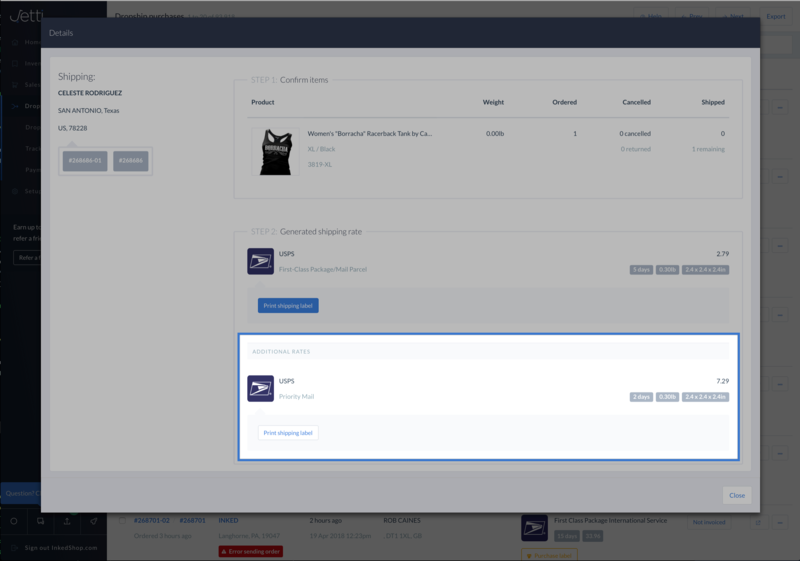 We're excited to announce a new feature in Jetti - you can now automatically send shipping labels to vendors by email. This can be useful if vendors don't want to log into the dropship portal in order to get their labels. This can all be set up in real time, so within a few minutes of customers placing an order vendor's can have your shipping label and branded packing slip in their inbox! 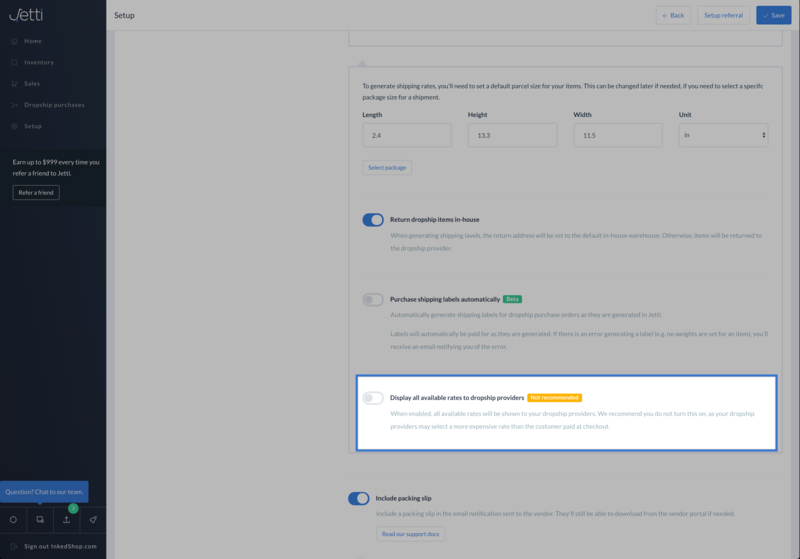 You can turn on the feature per dropship provider under their settings, or turn it on for you vendors in your setup area. 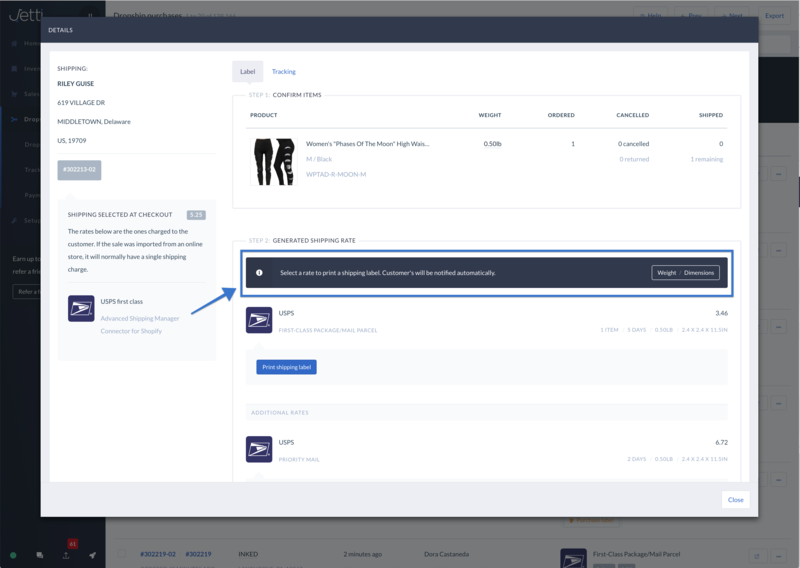 Were excited to announcements a big change to how orders can be exported by CSV. This is needed if your vendors want to import order details into their accounting or fulfillment systems by FTP or through having a CSV file emailed to them. No matter what format your vendor requires - Jetti can now support it. To get started, go to the API templates section in the setup area. 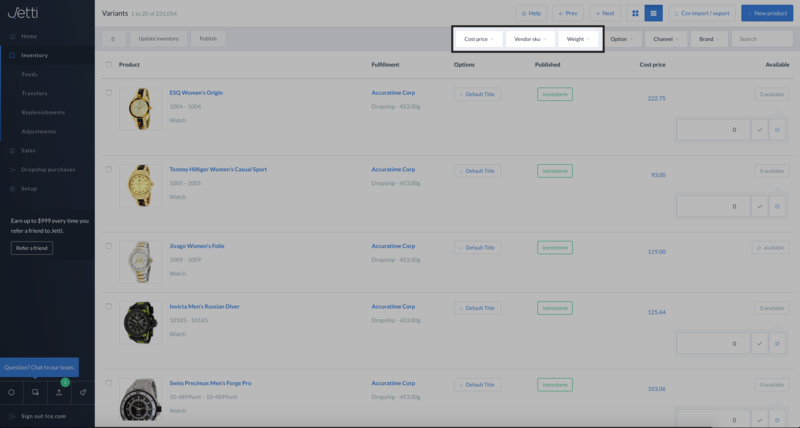 When running a multi-vendor marketplace, it's recommended you add the vendor's name before the product title and in the product URL. So, Awesome Shirt becomes Cool Inc - Awesome Shirt. It helps drive more people to your site by improving SEO and also helps people find products once they are there. Another useful addition is that you can now prefix your SKUs as well! This can be particulary useful if the same SKU is used for different products across your vendors. For example, if each of your vendors sells a different red shirt, but both use the SKU red-shirt. Just check the Prefix SKU checkbox and set the prefix you want. Easy! At Jetti, nothing is more important to us than our customers. We want your experience to be a rewarding one, which is why we regularly update you on changes to our products. Here you can stay up to date with the latest features and enhancements – and other great stuff going on at Jetti. We love to chat, and we want you to feel part of the team. If you have any suggestions or feedback, get in touch!